I’m getting a bit sick of reading about how not having a mobile presence is a big fail. Once again the marketing people take a one-size-fits-all approach and assume that if you are on the net, then people must want to use your services from mobile devices. This is utter nonsense. In reality, the need for a mobile presence depends very much on what services you are offering and who you are offering them to. 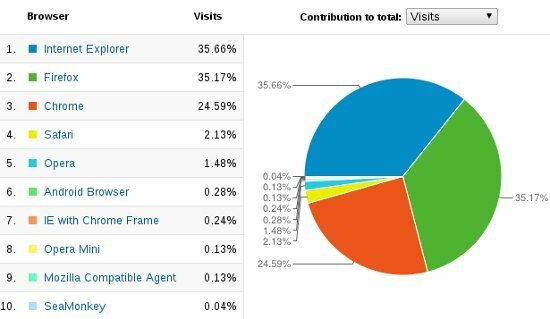 For example, look at the OS breakdown for my website over the last month. So 98.6% of visitors are using non-mobile devices. This is not a surprise since my website focuses on Oracle DBAs and developers, who are unlikely to be working from mobile devices. 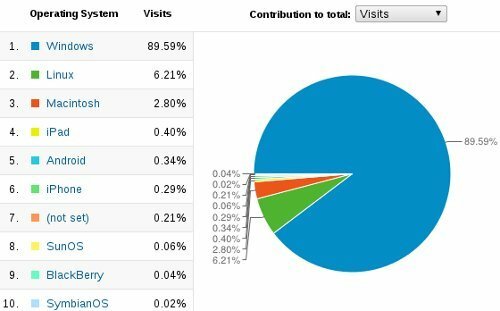 Would you suggest a real company with this focus and these sort of web stats should invest in a mobile presence? Just out of interest I checked the browser stats.